Quality healthcare should be available to everyone. The World Health Organization’s (WHO) concept of Universal Health Coverage (UHC),  embodies the urgent need for access to healthcare for all people around the world. In addition to access, the concept of UHC incorporates the critical element of the necessary quality of delivered health care services. 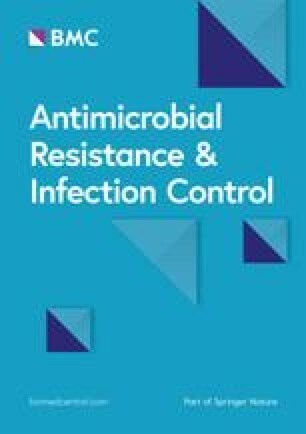 Infection prevention and control (IPC) with hand hygiene as the most effective measure, is a practical and evidence-based approach with demonstrated impact on quality of care and patient safety across all levels of the health system. Each year, the WHO SAVE LIVES: Clean Your Hands campaign aims to bring people together in support of hand hygiene improvement globally on or around May 5th. This year’s theme for global annual hand hygiene day reflects a strong focus on providing clean care equally protecting all patients and healt PLs raise to PO if the author response in Q2 means that the presentation of the fifth author givenName and familyName in s200 process was correct? hcare workers from infection and antimicrobial resistance transmission, across all countries, including in low-resource PLs raise to PO if the author response in Q2 means that the presentation of the fifth author givenName and familyName in s200 process was correct? settings. WHO urges ministries of health, health facility leaders, IPC leaders, health workers, and patient advocacy groups to contribute to effective IPC action including hand hygiene as a cornerstone of quality in healthcare (Table 1). 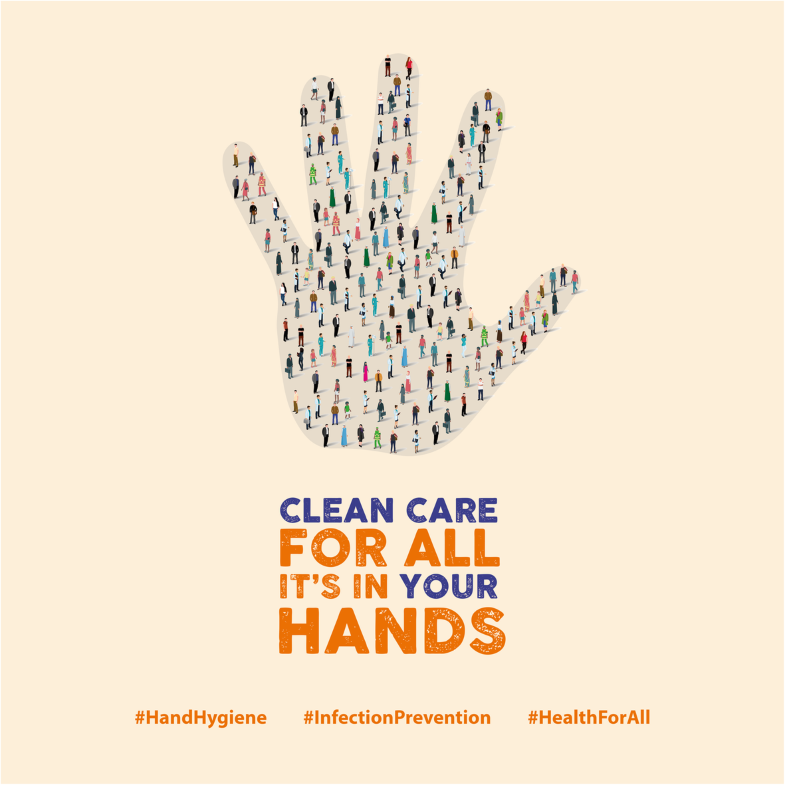 WHO invites all healthcare facilities to join the 2019 WHO Global Survey on IPC and Hand Hygiene by using two validated assessment tools; one for evaluating the core components of IPC programmes and the other for a deep dive in hand hygiene activities (https://www.who.int/infection-prevention/campaigns/ipc-global-survey-2019/en/). On a facility level, the use of these tools gives institutions a clear understanding of the strengths and weaknesses of their IPC and hand hygiene programmes, and provides concrete actions to address existing gaps. These tools allow institutions to improve their IPC practices and policies in a concrete and measurable way, at their own speed and in their own context. The surveys are anonymous, and global results will be made available only using aggregated data. This means that facilities and ministries of health can commit fully to working on improving IPC and patient safety without fear of scrutiny or possible negative repercussions. Globally, this survey will allow WHO to provide a situational analysis on the level of progress of current IPC and hand hygiene activities around the world and inform future efforts and resource use for IPC capacity building and improvement. Global Surveys using the Hand Hygiene Self-Assessment Framework were already conducted in 2011 and 2015, [3, 4, 5] making this year’s survey even more crucial for tracking the implementation of hand hygiene and IPC on a global scale (Fig. 1). Each improvement in IPC contributes toward quality UHC. “Clean care for all – it’s in your hands”! This work is supported by the World Health Organization (WHO), Geneva, Switzerland, and the Infection Control Programme and WHO Collaborating Centre on Patient Safety (SPCI/WCC), University of Geneva Hospitals and Faculty of Medicine, Geneva, Switzerland; hand hygiene research activities at the SPCI/WCC are also supported by the Swiss National Science Foundation (grant no. 32003B_163262). All authors have worked on this paper. All authors read and approved the final manuscript. All authors consent (see forms). Didier Pittet works with WHO in the context of the WHO initiative ‘Private Organizations for Patient Safety – Hand Hygiene’. The aim of this WHO initiative is to harness industry strengths to align and improve implementation of WHO recommendations for hand hygiene in health care indifferent parts of the world, including in least developed countries. In this instance, companies/industry with a focus on hand hygiene and infection control related advancement have the specific aim of improving access to affordable hand hygiene products as well as through education and research. All listed authors declare no financial support, grants, financial interests or consultancy that could lead to conflicts of interest. WHO | What is universal coverage? WHO Available at: http://www.who.int/health_financing/universal_coverage_definition/en/. (Accessed: 19th Feb 2019). WHO|SAVE LIVES: Clean Your Hands. WHO Available at: http://www.who.int/infection-prevention/campaigns/clean-hands/en/. (Accessed: 19th Feb 2019). WHO|WHO Hand Hygiene Self-Assessment global survey for 2015. WHO Available at: http://www.who.int/gpsc/5may/hhsa_framework-2015/en/. (Accessed: 19th Feb 2019).